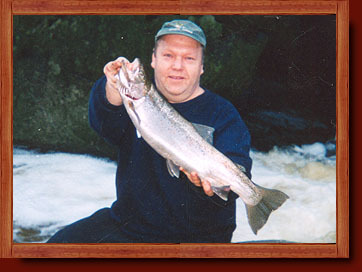 Rainbow Trout, also known as the Steelhead Trout by some, is the hardest fighting trout found in Ontario. Many people love the flavor of Rainbow Trout because it tastes like a mild salmon. Many people don't know this but Rainbow Trout, along with Brown Trout, were introduced from Germany. They are not an indigenous species to North America. With this in mind, there are no Rainbow Trout in Ivanhoe Lake but we do have a local lake that is stocked with Rainbows. 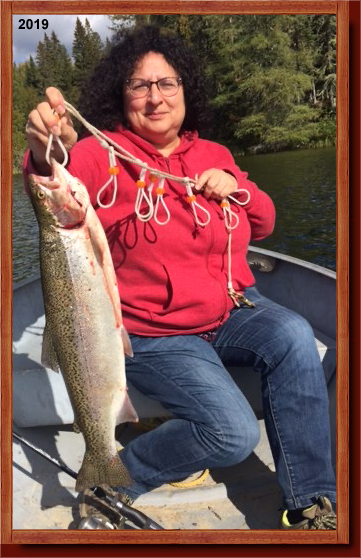 This lake is easy to get to and produces some nice size trout. In the springtime the Rainbow Trout can be found right on the surface and then they go deeper as it gets warm. They are easy to catch with our deepwater trout tips below and all you need is your walleye stick.